Good News Bible Church came into existence as a result of the working of God in the hearts of a group of young adults from Chicago's Humboldt Park community. They began in 1976 as a "Young Adults" Bible study sponsored by Inner City Impact, a local Christian community outreach center. This young adults Bible study met weekly for three and a half years before deciding during a camping retreat on September 1-3, 1979 to begin meeting regularly as a church. Soon, the need for a Sunday School for children became apparent and classes were started. By the end of January 1980, more space was needed and arrangements were made for a larger facility. This was the first of several moves the congregation made over the years throughout the Humboldt Park and Logan Square communities. Although the history of Good News has lots of twists and turns, one thing has always been clear: we have always been a faith community focused on knowing God better and serving Him as a result. We celebrate what God has done over the years and are excited for what still lies ahead. Salem Evangelical Free Church has a long history in the city of Chicago. On September 6, 1887, a group of eleven Danish and six Norwegian immigrants had a meeting in a rented store on Armitage Ave. in Chicago. They organized themselves into what was called the "First Scandinavian Congregational Church of Chicago." In 1895 they changed the church affiliation and the name to "Salem Evangelical Free Church of Chicago.” At first, this new congregation met in small facility built on Point street. But years of consistent growth required a new, much larger space to grow into. The cornerstone of the current building on the corner of California and McLean was laid on May 14, 1908. Good News Bible Church is now part of a historic faith tradition that started out serving Norwegian Chicagoans for 86 years (1887-74). To better serve immigrant children, an English department was added in 1924. 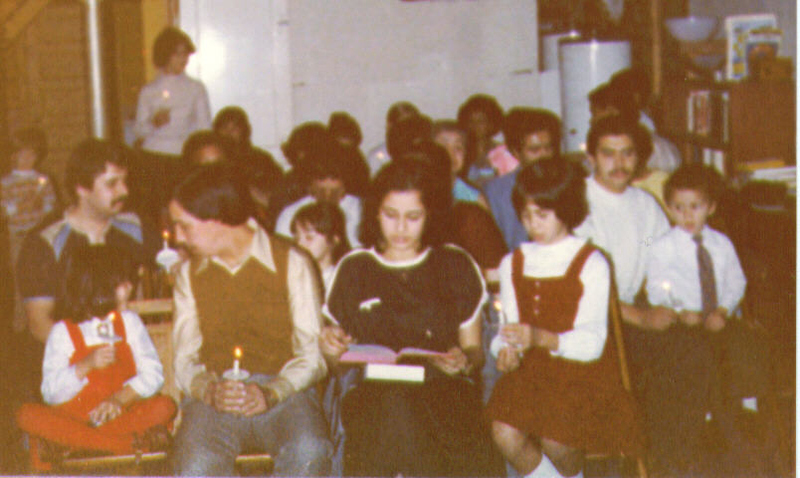 The church launched a Spanish-speaking department in 1970.